A representative of the National Multi Housing Council (NMHC) and National Apartment Association (NAA) testified in front of the House Energy and Commerce Subcommittee earlier this week on the value of the multifamily housing industry. According to the NMHC/NAA report entitled “The Trillion Dollar Apartment Industry,” multifamily housing is a $1.1 trillion industry that fuels $14.8 billion in apartment construction and development, 324,000 apartment construction jobs, and $12.7 billion in personal earnings. In addition to its current impact, Property Management Insider reports that the multifamily construction industry is poised to grow even more thanks to continually increasing demand for apartment housing. With an estimated 7 million new renter households forming in the next decade, the apartment industry is having trouble keeping up. As you can see, the multifamily real estate market is a great place to invest right now. While new construction will play a major role in fulfilling demand, apartment renovations and commercial real estate repositioning are sectors to watch. In order to stay competitive with new construction, older apartment communities will need to renovate amenities and units. Urban reuse has been going strong for quite a while now, and will continue to do so as savvy developers see the potential to transform old schools and industrial real estate into multifamily housing. Working with an experienced multifamily renovation project manager will ensure that your apartment redevelopment stays profitable, on time, and in budget. Do you want to be part of the solution for the multifamily housing shortage? If you are considering redeveloping a property for multifamily use or renovating your apartment community to stay competitive, contact us today. Professional Multifamily Redevelopment has the experience to ensure you get the most out of every renovation dollar, as well as the vision to make your community the best it can be. 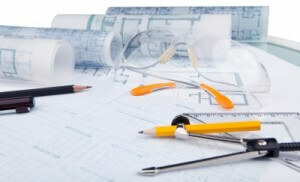 Take a look at our project management and apartment renovation services and give us a call at 678-446-7570.